When writing a document in Google Docs you might sometimes want to add a code block. 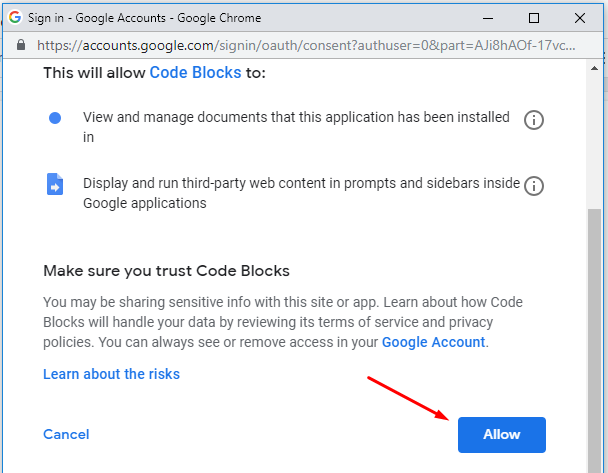 By default, Google Docs has no option to allow you turn text into a code block. There is an add-on you can use to put your code to Google Docs. It is Code Blocks. This add-on it pretty easy to use. All you need to do is highlight the text you want to turn into code block and format it. Before being able to use Code Blocks you surely have to install it first. This add-on is free to use. Here is how to install this add-on. Open Google Docs on your browser. Visit this page on click the Free button to add it to your Google Docs. 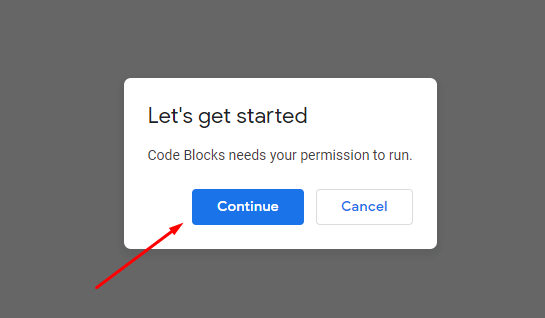 Code Blocks needs your permission to run. Simply click the Continue button on the appearing pop-up. Select your Google account and click the Allow button. That’s it. You have successfully installed Code Blocks to your Google Docs. Once you have successfully installed Code Blocks on Google Docs, you will have a new item called Code Blocks under the Add-ons menu. You can simply click it and select Start and a new sidebar will appear. But first, you need to highlight the text you want to turn into code block. 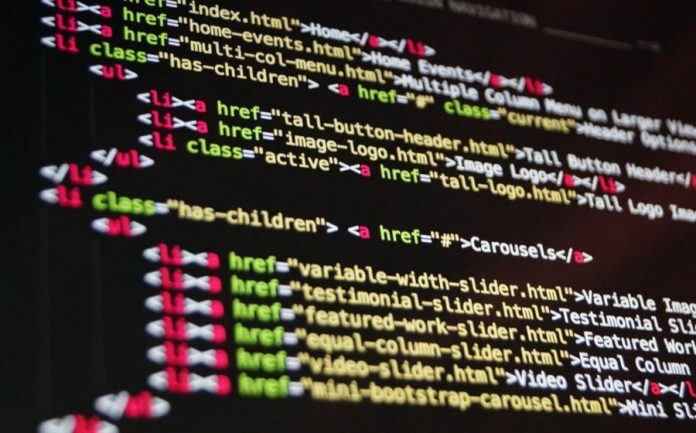 Code Blocks will automatically recognize your code. Before formatting the text, you can preview the changes first. To enhance the functionality of Google Docs, Google allows developers to create add-ons. Code Blocks is one of add-ons developed by third party developer. 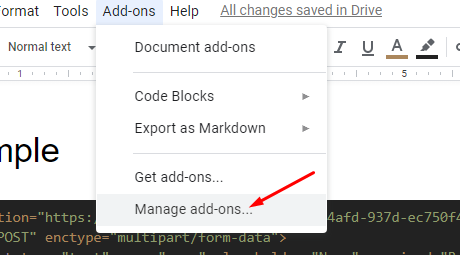 You can manage the add-ons on Google Docs by going to Add-ons –> Manage add-ons. Select the add-on you want to manage and click the MANAGE button.